The Town of Tonawanda Football Association is focused on teaching our boys and girls the excitement of America's favorite past time. However, we are aware that while the players are "shooting for the stars", they may sidetrack their own health. Safety is our number one concern. A concussion is an injury to the brain that causes the cells not to work as they normally do. The force of impact to the head causes the brain to move rapidly in the skull. 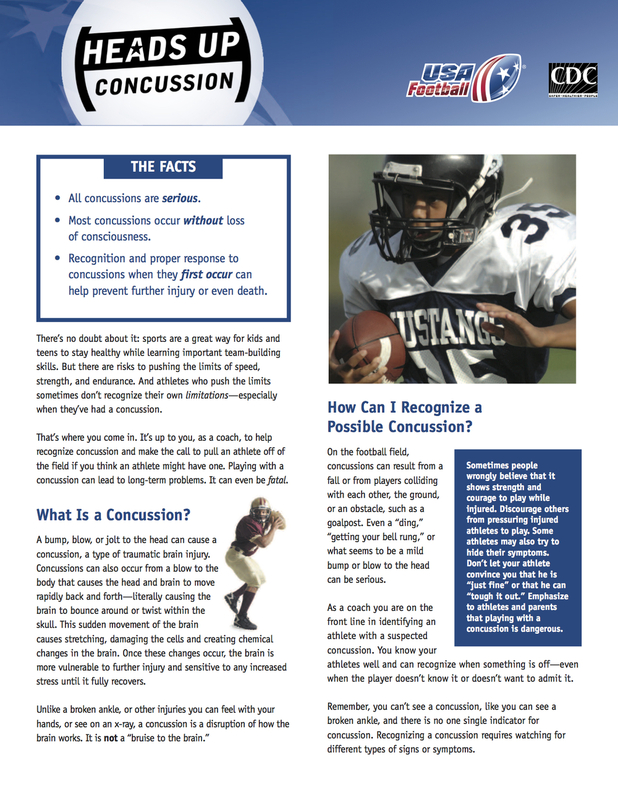 All concussions are are an area of concern and should be treated as such. Because of this, we take any head injury seriously. Brain injuries can occur in many aspects of life, not just sports. The following pages are provided to you to gain more information on the subject. The Town of Tonawanda Football association’s concussion protocol is a five step process for a player to return to play after bing diagnosed with a concussion. 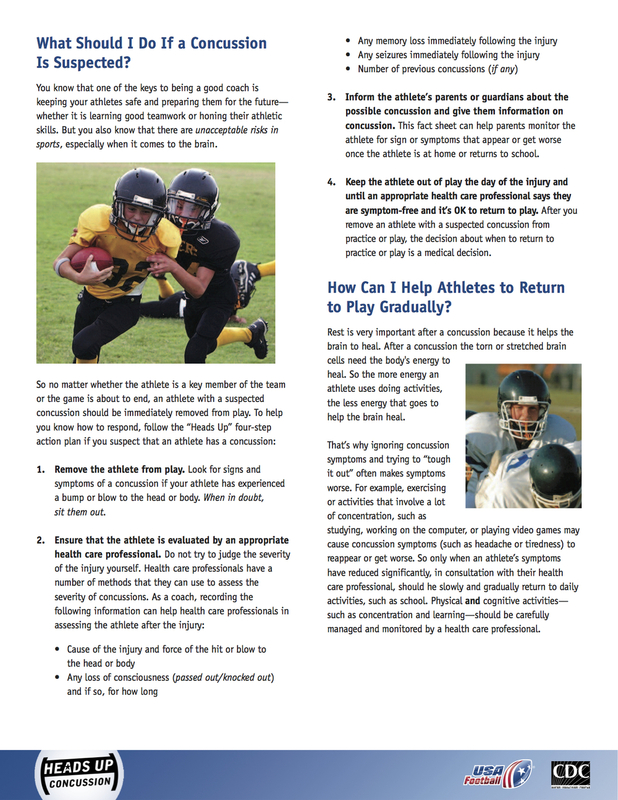 A player is removed for practice or the game as soon as the player show signs of a concussion. Following a diagnoses of a concussion from a physician, the player will rest and recover. The player will be out of play at least 24 hour after they are free from symptoms, as per New York State Education law. The player can return to play after being cleared by their physician and a letter of clearance has been provided to the Town of Tonawanda football Association. The New York State law - section 305 of the education law, subsection 42.a. (N>Y> Educ. Law. 305).